Director Susan Gluth will be attending the world premiere film screening. At the age of six, Urmila was sold into slavery by her family in Nepal. Now 21 and having escaped her horrific and abusive conditions, she struggles to take back her power as a fervent anti-slavery activist who also wants to become a lawyer to bring change to her country. Despite her unwavering self-determination and courage, Urmila finds her life is still controlled by others—this time by the pressures of people’s expectations and the desire of others to shape her career and life’s path. 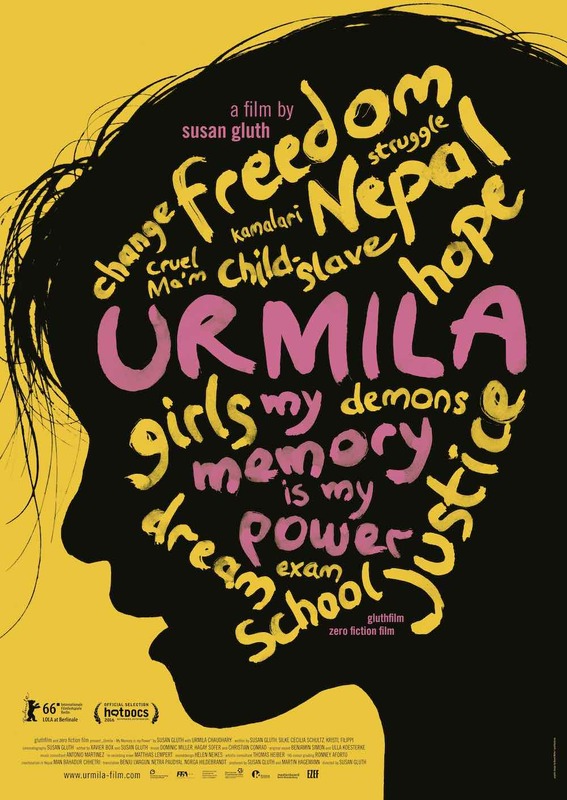 The intimate and touching portrait follows Urmila’s quest for justice and her dream to end child slavery in Nepal in an unusual way. First she must break through the control of those around her and fight against the inner demons of her past to begin to make her own life choices.